The importance of Vitamin D in human body has always been highlighted by medical practitioners and researchers alike. However, if go by a recent study, then Vitamin D low levels have the tendency to make childbirth more painful. The study as conducted by the American College of the Obstetricians and Gynecologists clearly states low Vitamin D levels can increase the labor pain considerably. If this study is taken into consideration, then the pregnant women can be given some relief from childbirth pain via good level of Vitamin D in the body, which of course can be gained from sun and other Vitamin D rich food products. During the study, around 93 women were studied during childbirth. All of them demanded for epidurals; however, the one with lower levels of Vitamin D were observed to have consumed more of pain medication while entering into labor. Doctors stated that the prevention as well as treatment of low Vitamin D levels in a pregnant woman can certainly have a greater significance on decreasing the intensity of labor pain. Though this study is to be revisited and tested further, but doctors across have already started recommending higher levels of Vitamin D in the pregnant women. 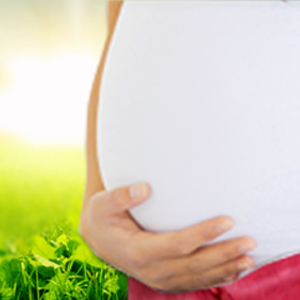 Vitamin D & Pregnancy: How it Helps a Pregnant Woman? Vitamin D regulates the levels of calcium as well as phosphate in a pregnant woman's body. Human body requires good amount of calcium and phosphate so as to keep the bones and teeth healthy. In the absence of adequate Vitamin D levels during pregnancy, the baby in the womb won't be supplied by the needed calcium and phosphate. This deficiency can further make the baby develop weak teeth and bones. And in some rare cases, it can even result into rickets. Also, a deficiency of Vitamin D in general can weaken the immune system. It can even increase the risk of cancer, poor growth of hair and weak muscles as well as bones. How Much Vitamin D is required by a pregnant woman? As per the National Academy of Sciences, pregnant women must get 200 IUs i.e. 5 micrograms of vitamin D on a daily basis if they aren't much exposed to sufficient sunlight. However, this amount is variable as it's prone to change given the consistent studies. Vitamin D Supplements: Who Must Have Them? If you happen to be a vegetarian, then getting adequate amount of Vitamin D from the food sources as mentioned above will be difficult. You can always rely on the Vitamin D supplements to maintain the needed levels. Consult your doctor and take in the supplements as advised. Whether or not Vitamin D can ease out childbirth pain is something researches will prove later, but make sure that you don't lack in this important nutrient so that you and your baby stays healthy!